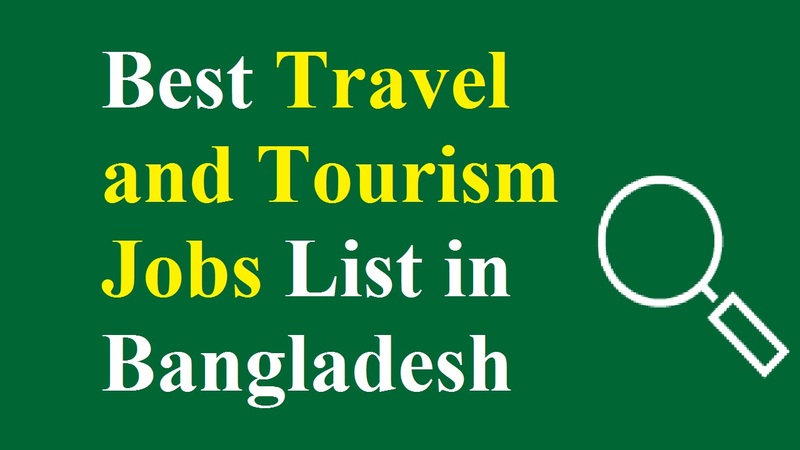 10 Best Travel and Tourism Jobs List in Bangladesh. Not only have the hundreds of rivers and hills but there are the world’s largest sea beach and waterfalls and many more natural beauties in Bangladesh. These all are the sources of different travel and tourism jobs in Bangladesh. As there are a lot of people in these jobs, they’re one of the largest parts of the country’s economy. A huge amount of domestic and foreign tourists visit the country and its tourist attraction sites to observe the beauty of nature. Also, Bangladesh is one of their ‘best value destinations’ that are hardly explored by tourists and backpackers according to the Lonely Planet, a giant travel organizer. Because of the domestic tourism, purchased by a huge middle-income population ready to spend money has made this growth. Besides, the foreign tourists have also started to flock in Hospitality and tourism is a vast industry with many different career paths with tour companies focusing on international growth and cheap air travel. Well, let’s know about the best travel and tourism jobs in Bangladesh. Researching, planning, and booking trips for individuals and groups are the jobs who work as the travel agents. As they have years of experience and knowledge people are starting to research and book their travel plans online, it’s often easier to use a Travel Agent. Also, there are some other related activities when you’re in this job. These not only include flight bookings and hotel selection but transfer arrangements and holiday activities as well. That’s why you’ll need great organizational skills, attention to detail, and the ability to think on your feet if you’re considering becoming a Travel Agent. From housekeeping and general maintenance to budget management and marketing of the hotel, the hotel managers oversee all aspects of running a hotel. You’ll need excellent interpersonal skills, experience in the hospitality industry, and a number of years’ experience in managing employees if you’re considering a career as a Hotel Manager. When you’re a hotel manager, you’ll responsible for the daily running of the hotel, including recruiting, training and supervising staff. Apart from those, ensuring the hotel complies with health and safety regulations are the responsibilities of a hotel manager. As a Spa Managers, you’re responsible for the day-to-day running of health and/or beauty spas. Also, it’ll be your duty to manage the spa’s finances, employees, and services. Moreover, there are some other tasks that are including recordkeeping, getting involved in promotional campaigns, maintaining stock inventories, and payroll management. But, if you’re applying for this position you should have an experience in spa management. As the Tour Operators typically combines tour and travel components, they create holiday packages. And they are responsible for dealing with various service providers like bus operators, airlines, and hoteliers. Also, the Tour Operators not only prepare itineraries for various destinations but monitor trends in popular destinations in order to put together attractive holiday packages for clients. Moreover, while Travel Agents deal with the public, Tour Operators mainly deal with Travel Agents. As they need to check whether they should include them in there, they packages will often visit destinations. But, this might be one of the best travel and tourism jobs for you if you enjoy traveling. As organizing any event or conference is time-consuming, an Event and Conference Organizer will help with the finer details of planning an event. Besides, you’ll need to be able to think on your feet, pay attention to detail, deal with clients and suppliers, and work under tight deadlines if you’re interested in becoming an Event and Conference Organizer. In the travel industry, a Tour Guide provides guides to tours to groups of visitors/tourists. The job is not so easy to do because the Tour Guides must have expert knowledge of some specific areas. For example, the areas are could be anything from natural features to historic sites, museums, and other tourist destinations. Also, the Tour Guide provides the services of walking tours, bus tours, or even boat tours. So, you’ll probably get most of your experience on the job if you decide to become a Tour Guide. You might think of the local celebrity chefs who appear in the TV channels or social media when you’re thinking about the job of Executive Chef. When you’re an Executive Chef, you’ll be responsible for a restaurant’s kitchen, and is responsible for managing the kitchen staff, planning the menu, and sourcing the freshest ingredients. Also, it’s your responsibilities in ensuring the food hygiene throughout the restaurant. Moreover, as an Executive Chef, you must be able to spot problems and resolve them quickly and efficiently. If you ask about a Sommelier then a Wine Sommelier is an expert in wines. Also, when someone likes to be a wine Sommelier, he or she should be passionate about wine. As the job is specializing in all aspects of wine service, he or she must be highly trained and knowledgeable in the wine profession. So, if you’re an expert Sommelier then you have a chance to work in the 5-star restaurants. A PR Manager might work for a hotel chain, a cruise company, or a game reserve in the Tourism and Hospitality environment. And when you’re a PR manager, you’ll plan, develop, and implement specific strategies. So, you need excellent communication and problem-solving skills if you’re interested in this job. As the Leisure Activity Coordinators, they usually work for resorts and hotel chains. Also, they’re responsible for some other activities so that a hotel or resort run smoothly. From the management of a leisure center to organizing health and fitness programs, promoting and marketing the business, the Activity Coordinators are responsible.